The weather has been so nice lately. I hate that it's because of the hurricane since so many people are being effected by it. 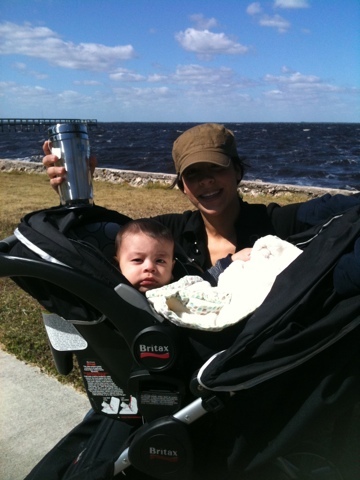 Yesterday Cruze and I headed to the park to enjoy the weather. Isn't it sad that the only pictures I have look like this? Poor baby had the sun in his eyes and I... well, let's just say it's a good thing I was wearing a hat. But other than that, it was sooo nice to be out and look at that view. That's what our park sits on. Not too shabby, eh? 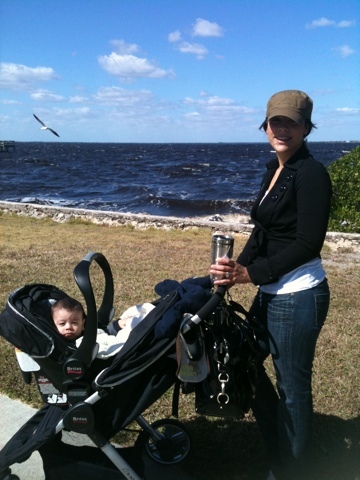 Fresh air, hot tea, sweet baby. Life is good I tell ya.